Last evening we received new correspondence from the Secretary of State of Wyoming, Ed Murray. 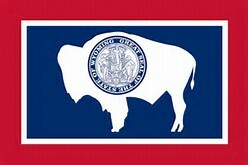 In follow-up to my email of yesterday (January 31st), I want to report to you on the status of House Bill 267 now before the Wyoming Legislature. Today, the House Appropriations Committee considered HB 267 and I voiced my opposition to the bill. I stand firm in my belief that raising fees without thoughtful and deliberate study to assess the impact of such an increase is harmful to Wyoming businesses and could jeopardize Wyoming’s ranking as the best State to start a business. The Committee amended HB 267 and lowered the originally proposed 200% increase in annual fees to a $25 increase in those same fees. I want to thank the House Appropriations Committee for allowing myself and other members of the public to have a meaningful conversation about this bill. HB 267 will now go before the full House for consideration in the coming days.